The funny thing about nerds is that we tend to argue about the finer points of comic book logic that really has nothing to do with reality. This includes, but not limited to, things like the exact science of time travel or feminism in comic books. In the end, you would be surprised to see how many dudes actually believe that time travel is possible before believing that a female superhero can be legitimized. However, the point of order and chaos in the super hero genre is something that is highly debated. 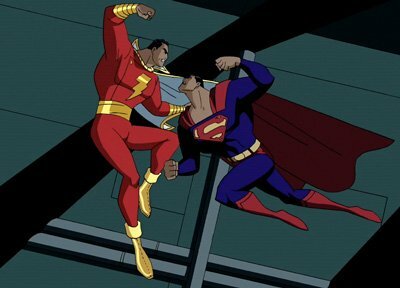 Before we begin there are a few prerequisites that need to be met so you can understand why I’m taking you down this road (otherwise you’ll have to take my word for it) You need to be familiar with Justice League Unlimited, more importantly, the episode “Clash” which features a huge battle between Superman & Shazam. 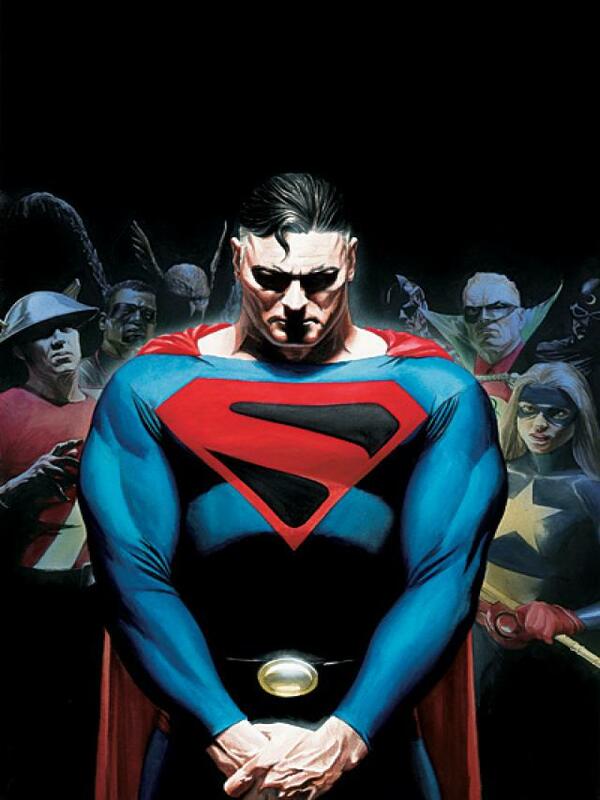 You will also need to have read Kingdom Come by Mark Waid and Alex Ross to understand the connection. Finally you should’ve seen the movies, Man of Steel and Captain America: Winter Soldier. There were two superheroes that I didn’t care for as a child: Superman & Captain America. As a young dark-skinned Latino, I found it hard to really connect with any of these larger than life white men. I lived in the Bronx and the ideals of Truth, Justice, & the American Way was something that didn’t resonate with me. However, I understood that both characters represented a set of ideals and no matter how corny I may have found it, these ideals defined the type of heroes they are. They’re both boy scouts created during a time when people needed something to believe in. The comic book industry has changed over the last 25 years with superheroes being more present in our daily lives with movies and animation. Over that time, we have seen the evolution of how superheroes are written and marketed. Batman became darker and more violent which seemingly led DC Comics to go down that road because it makes more money. But how would this effect Superman? In 1996, Kingdom Come addresses this issue. What if the line between order and chaos were blurred where people can’t tell the difference between hero and villain? It was Superman that lead the charge back to order. His “antiquated” ideals saves the world from its inevitable end because its all about finding another way to save innocent lives. It is this very idea that many people argue over when it comes to the Man of Steel. Do we want an updated version of an iconic hero that has been in our psyche for decades that blurs this line? In 2005, Justice League Unlimited was a wildly popular animated series on the Cartoon Network. It’s 30 minute episodes set the standard for current DC Animation. During that season, the viewers were witnessing a massive story arc where Lex Luthor (of course) was pulling all the strings. In the episode called, Clash (written by the late Dwayne Mcduffie) we see Shazam join the Justice League with much joy and adulation. He is touted as a boy scout much to Superman’s chagrin. Fast Forward to the age of the New DC 52 (which is soon ending) and the movie, The Man of Steel. We can talk all day about the science of this movie. We can debate on the massive amounts of damage during the battle of Superman & Zod. In my opinion, the ending is not debatable. Have we evolved Superman to the point where he no longer represents those ideals of the past? No matter your answer, we’re in a time where Superman had no choice but to kill. Then I think about Captain America, the last boy scout. He still represents what America should be and not what it is currently. This is something that I failed to see as a child. In Captain America: Winter Soldier there was point in which Steve Rogers had to choose what he wanted to do with his friend, fight to the death or leave his fate up to Bucky? Either way, he was with him to the end of the line. His faith in his friend and his ultimate ideals was the reason he survived that battle. He found another way. So where does that leave us? Is it Batman that has the better set of ideals leading into Batman V Superman? Are we willing to subscribe to the thought that there’s a blurred line between order and chaos or should we adhere to the notions that a hero is more than just the sum of abilities, but rather the ideals the character upholds?